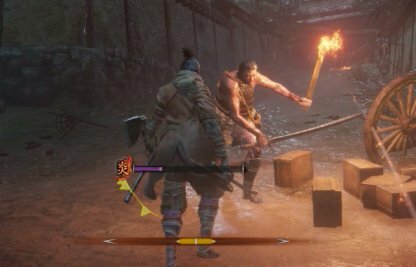 Check out this Sekiro: Shadows Die Twice combat guide on what to do when you can't win battles! Learn tips & tricks to defeat enemies, advantages of adjusting settings, & more! Stealth Deathblows are very useful in this game so take advantage of times that you can use this move. You can easily down a lone enemy when in stealth mode or when jumping from above. Check Out How To Do Stealth Deathblows! Deflecting an enemy's attack not only staggers them but it creates an opening for you to attack them instead. Do NOT double tap or spam your guard button when you are attempting to deflect enemy attacks. 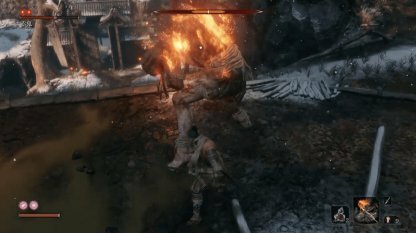 Doing so will cancel your deflect and make you vulnerable to continuous enemy attacks. Your Posture Gauge will recover when you're blocking. When facing a new enemy, use this feature to first observe their attack motions and patterns to look for an opening to strike. In this game, even smaller enemies can kill you. It's best to approach enemies and fight them one by one to prevent getting overpowered. Distract enemies by throwing ceramic shards at them or using your Prosthetic Tool to distract them. Foes with bows, guns, and can throw bombs are dangerous when left alone. 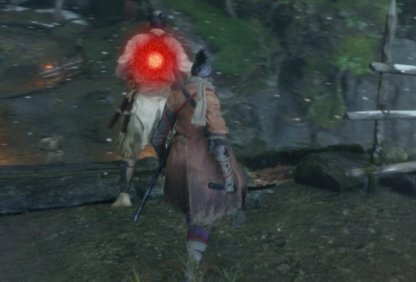 Quickly head towards them and eliminate them first to prevent them from damaging you when you're distracted with close-range fights. 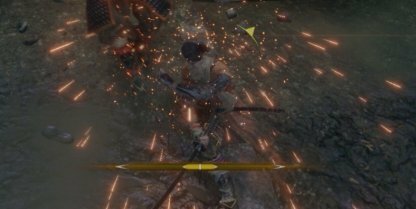 You can avoid getting damaged by dodging away from the enemy. 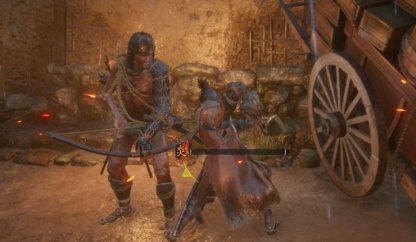 Since it's hard to create attack openings by jump dodging away, step-dodge allow you to move quickly away then forward to deal damage to opponents after they try to hit you. 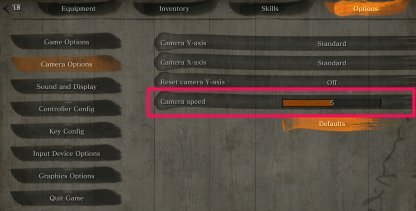 Once you get used to playing the game, you can adjust your camera speed settings. This way, you'll easily be able to track fast enemies. It's best to increase camera speed gradually so you won't get confused. If you enhance your Physical Attributes, Attack Power, and unlock better Skills, you'll be able to combat your foes more easily. When you can't win in battle, go back to the Sculptor's Idol and enhance your character. Prayer Beads are dropped by mini bosses and if you collect 4 pieces, you can bring them to the Sculptor's Idol to enhance your Vitality & Posture bars. These are important factors that'll help you survive longer in battle. Check Out Where To Get Prayer Beads! 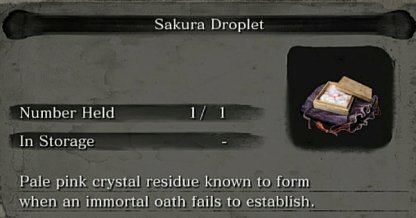 The Sakura Droplet drops after you defeat Lady Butterfly. Bring this to Kuro or the Divine Child of Rejuvenation to unlock a 3rd Resurrection node. This will give you another chance to fight when you've died. If you feel you cannot push forward with a particular area in the game, it's best to backtrack and find other areas that you haven't cleared or completed yet. You'll be able to earn experience points to get Skills that may help you in future stages. 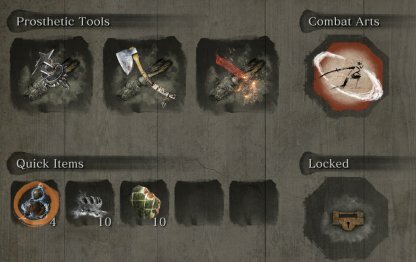 You can collect Prosthetic Tools and important gear in different areas in the game. 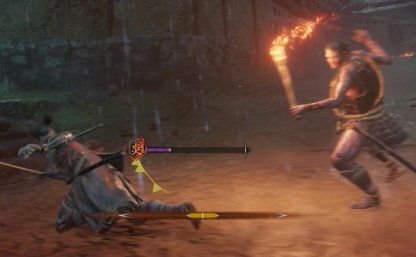 If you're stuck against a certain boss or area, try to collect other equipment that may be their weakness in other stages of the game. Check Out All Prosthetic Tools List Here!